Wine, beer or cocktails? 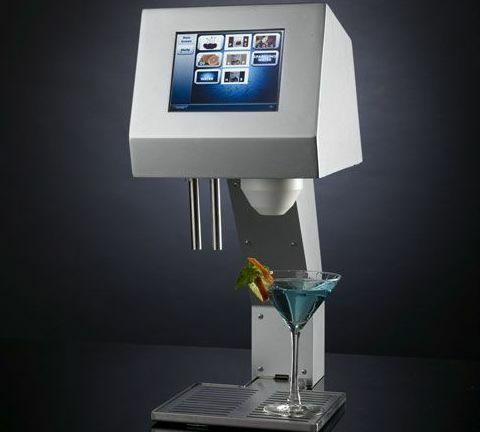 MyFountain, the first high-tech fully automated drink mixer that able to crank out mixes cocktails, soft drinks, beer and wine automatically with just a touch of few virtual buttons via its integrated LCD touchscreen. Besides, the cool and innovative robotic bartender will allow you to set your own ingredients and create your favorite recipe lists. In addition, this advanced automated drink mixer can store different liquids as well as water-line link and a carbon-dioxide cartridge for fizz, with a small refrigerator that sits below your countertop. 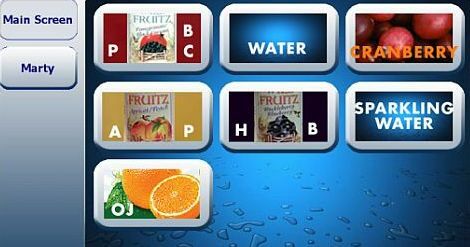 The amazing MyFountain is expected to hit the market by 2008 for about $2500.